Lotion Bar handmade by Soapitz by Opitz. 2.5 ounces. Rub lotion bar on areas of dry skin for soothing relief. 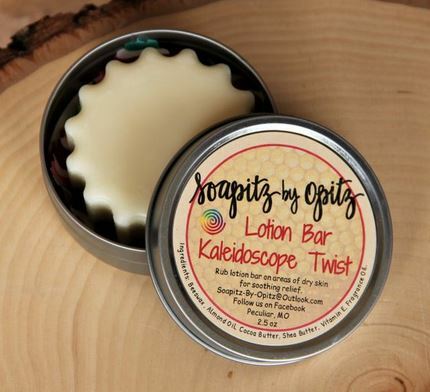 Ingredients: Beeswax, almond oil, cocoa butter, shea butter, Vitamin E, fragrance oil.